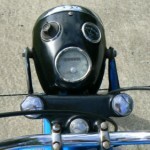 I always wonder how old is old enough to start riding a motorcycle? Is the limiting factor physical? If they can reach the ground, give them the keys? Or is their something else? I ask myself this because my daughter is going to be able to reach the ground someday and I look at some bikes and wonder if she would be able to ride it. 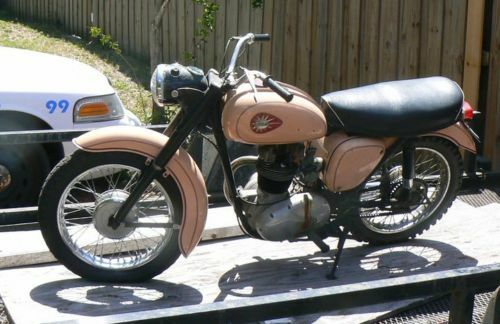 This BSA C-15 on eBay now is a bike that made me wonder. 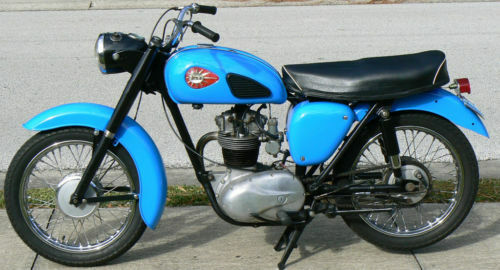 Made from 1958 until 1967, the C-15 was the first unit construction by BSA. 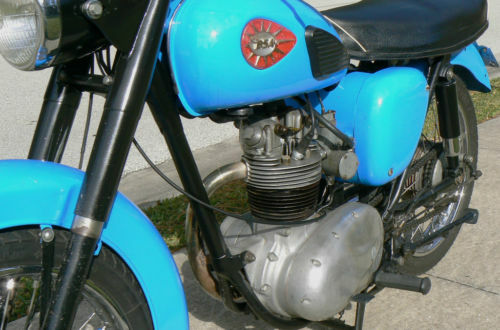 At 250cc with 15hp at 5000rpm it apparently was a very popular model in the United Kingdom for people first learning to ride motorcycles. 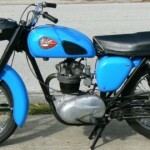 Compared to previous motorcycles in which the transmission was separated from the engine (pre-unit) the C-15 was more reliable for the rider, and more cost effective for BSA to manufacture. 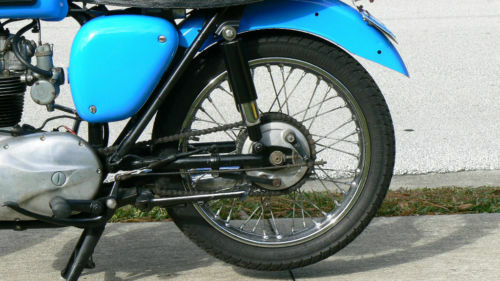 I put new tires and a clutch cable on it. I also painted the bike it Mustang Grabber Blue. Still has 6V electrics and points. 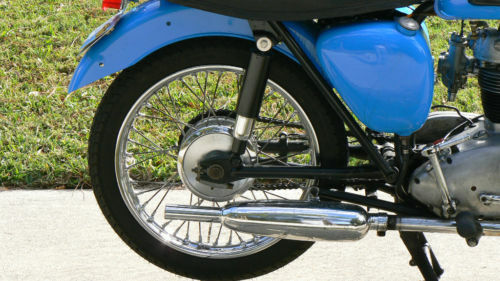 Someone had bobbed the rear fender and put an aftermarket taillight on the bike prior to my getting it. It looks OK though. 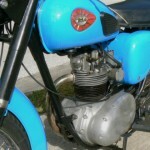 The seat is original and used to say BSA on the back until I cleaned it.The bike is in nice rider shape. I cleaned it up but did not restore it. 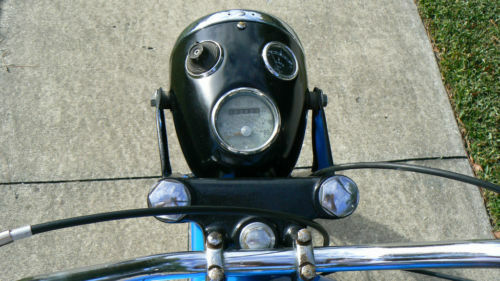 If someone wanted to restore it it would not be hard to do. 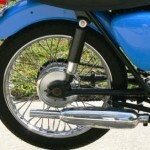 Bike has the regular dings but nothing that is bad or would cause a piece to be replaced. Speedo and Amp meter do not work. 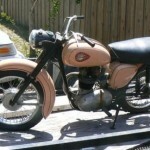 The blue is not how the bike came to the seller, they include a picture of the bike in a very nice shade of Pink. 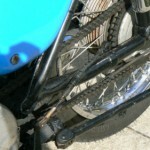 Like many vintage bikes, parts were added and removed from this bike, so you wonder what else was done to keep it on the road. 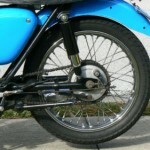 Did one of the student riders plow into something to require work on the fenders? Would my daughter find a parked car, or a tree in the neighbors yard if I were to buy this for her? 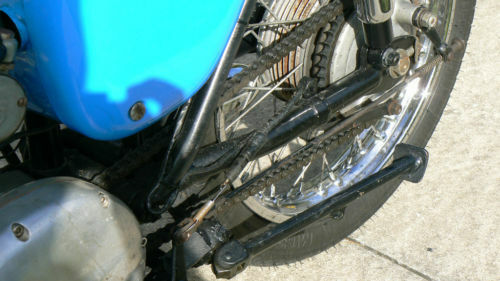 I forgot to mention that the bike does leak a little oil. Its not bad but it will leave a spot sometimes. 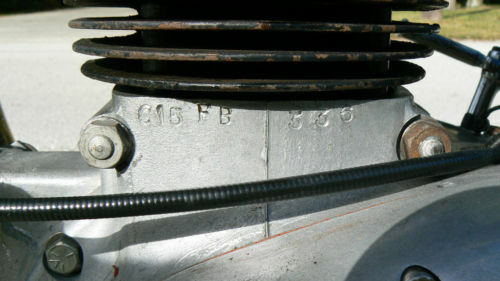 It leaks from the rocker cover which is just a gasket and it leaks from the right side of the case which again is a gasket. 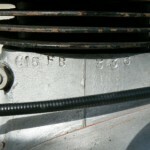 They are not bad leaks, just enough to keep the engine wet. 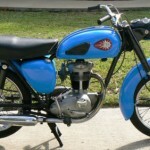 How about a Honda 90 for a first bike? 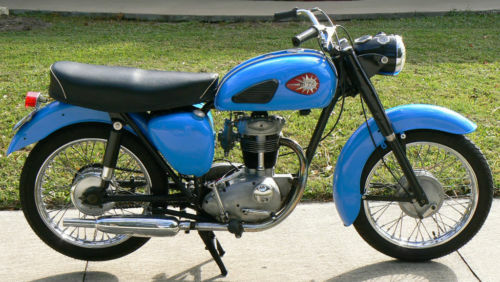 I think the little auto was the first real (kind of) motorcycle I ever rode around 12 or 13 yrs old. Peace! Have great holidays Brother!